Posted On June 03, 2016 by Team iCynosure. For women who like fashion, accessorising is a big part of their everyday dressing-up routine. And why not? The right accessories can go a long way in lending women their unique style. Statement accessories are always a big hit among fashionistas and what better way to make a fashion statement than by sporting a gorgeous luxury wrist watch! Few would disagree if I said that wearing a distinctive watch sets the wearer apart in a crowd of people who put no thought into picking a great watch for themselves. However, fashion-forward women will first carefully weigh all the options available to them before purchasing a timepiece that’s meant only for them. Mentioned ahead are a few exclusive and interesting luxe time-wear options for women to consider when buying their next watch. Hublot’s Big Bang watches come in two colours: white and black. Both are spectacular to look at and will surely lend a touch of edginess to your appearance. Seemingly simple in their features, both models come with the quartz movement. 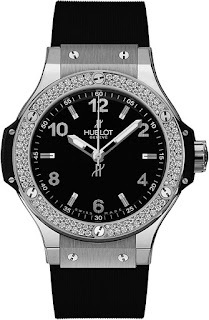 The Hublot watches are the perfect union of beauty and sophistication. 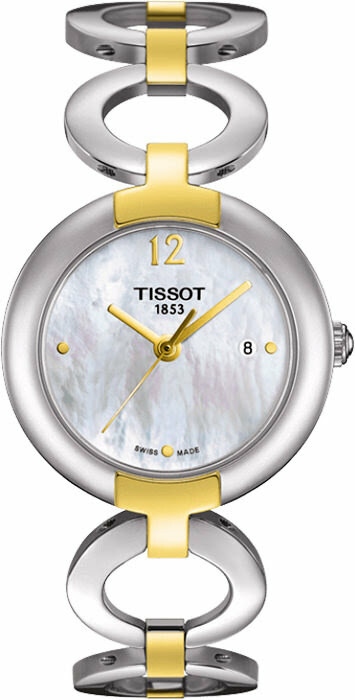 The timepieces come with a 38mm case size and round case shape, which is popular with most women these days. It is made of steel, has black/white rubber straps, and a matching dial, which is protected by a sapphire crystal. These unique features further enhance its opulence and finesse. The watches are embellished with precious stones, a feature that amplifies their charm even more. Both pieces are available on special order and come with a warranty period of 2 years. The craftsmanship of the Rado Integral should speak volumes to every onlooker. Don’t be surprised if you’re captivated by its splendour! After all, Rado watches are known for their innovativeness and show-stealing looks. This stylish Rado Integral is a chip off the old block with its black case made from high-quality ceramics and stainless steel. The lightweight watch packs quite a punch with its black dial, which is contrasted with rose-gold hour hands. What’s more? The dial features diamonds at the 3, 6, 9 and 12 o’clock positions for marking the hours (Rado uses stones that meet the Kimberley process requirements, preventing the use of blood diamonds). The sapphire crystal case window keeps them well-protected from damage. On the side of the dial, you will find a rose-gold pull and push crown to adjust the time. The bracelet or metal straps are dual-toned, i.e. 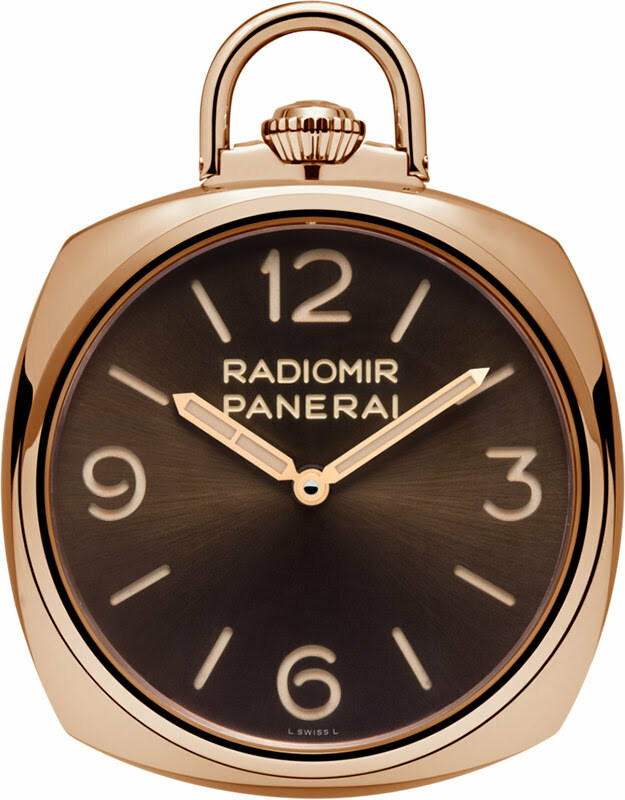 black and rose-gold, a combination that is sure to take the allure of this piece notches higher. The timepiece is water-resistant up to a depth of 50m, which means you can wear it in all seasons. It comes with a warranty period of two years. If you’re looking for a timepiece that is out of the ordinary and stunning at the same time, then this pocket watch is meant for you. Sporting it will not only lend you an old-world charm, but also prove that you’re a spirited woman with a penchant for trying new things. If your style is subtle yet statement-making, then you need to get your hands on this timepiece fast. A lot of women prefer not wearing a watch at all times, which is when this piece can come in handy. With its bold 50mm case size and golden colour, you’re sure to feel like royalty when carrying it. The pocket watch has a classic design, which makes it suitable for use at all kinds of occasions and events. It is equipped with mechanical movement and a power reserve indicator feature, all confined under sapphire crystal glass. It is a limited edition timepiece and available only on special order. It comes with a warranty period of two years. A lot of women tend to go for timepieces that combine modern technology and feminine design. 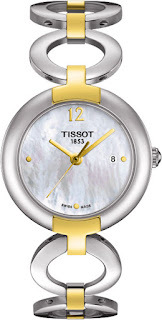 The Tissot T Trend Pinky achieves this balance with panache. The design of this timepiece is versatile, a quality that makes it perfect to be worn on a daily basis and on special occasions. With its 28mm case size and a round shape, the watch looks delicate, but is quite sturdy. The two-toned stainless steel bracelet unites the colours gold and silver in perfect harmony and makes the watch look particularly attractive. The dial comes in mother of pearl colour and has a date display window at 3 o’ clock. It’s set under scratch-resistant sapphire crystal for protection. The watch is water-resistant up to 30m and comes with a warranty period of two years. 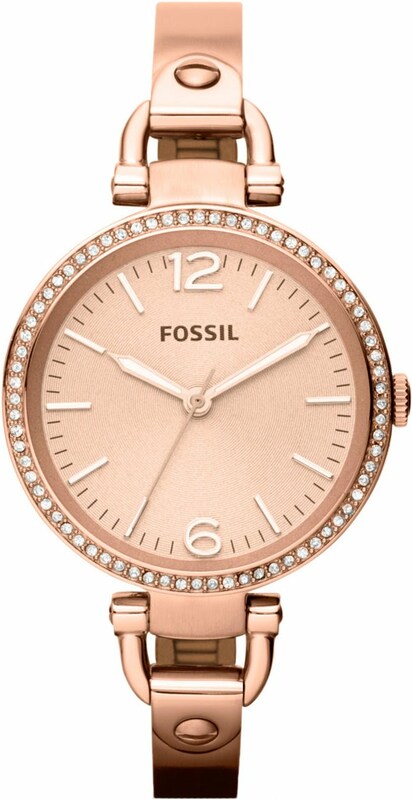 Fossil watches are known not only for their technology, but also devastatingly good looks that modern women find very appealing. A watch from this brand in your time-wear collection will certainly be the cherry on the cake. Enter Fossil Georgia ES3226. This charming timepiece will leave you spellbound with its simple, yet dazzling features. It has a 32mm case size and a round shape. This striking watch is gold plated with a matching dial and has a quartz movement. 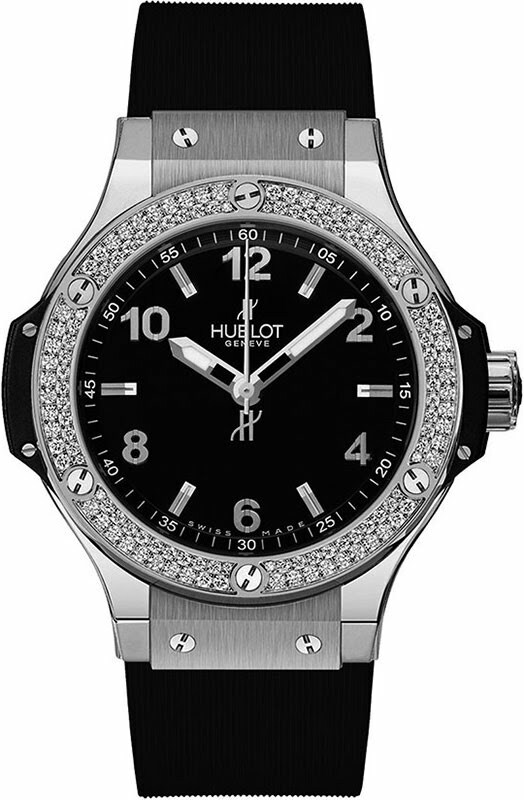 The circumference of the dial is encrusted with perfectly-cut diamonds, which augments the exquisiteness of this piece. The mineral glass window protects the dial and its components from inadvertent damage. The best thing about this watch is that it is relatively easy on the pocket and you can make it yours without breaking the bank. It comes with a warranty period of two years. All said and done, the accessories women wear reveal a lot about their taste in fashion. This holds particularly true for watches, which is why it is important to pick your timepiece with great care. The above watches are not just one-of-a-kind, they also symbolise femininity, grace and charm. So what are you waiting for? Order them now and make them a part of your collection pronto! Author Bio: Abhishek is a watch enthusiast, passionate about the best and finest timepieces that are crafted around the world. A musician, photographer, graphic designer, digital marketer, wannabe astronomer and an analytic looking for patterns in life, there is very little that this person with ADHD and OCD is not interested in.